Welcome to our new weekly run down of stuff worth checking out, from tasty treats to hot new designs, exhibitions and publications. Pop back weekly to see what’s fresh off the block and worthy of a ganders. Finally a cat magazine is here and a very stylish one at that. Cat People is a new book from Melbourne based editor Jessica Lowe, looking at people and their cats. It explores the lives of interesting cat owners such as illustrator Mat Maitland and fashion designers Suzanne Clements & Inacio Ribeiro of Clements Ribeiro. Even if you’re not a cat fan (why?) this is a fascinating and very stylish publication to dip into. News has just come out of Fashion Revolution, a day that’s been initiated by a global board of industry leaders to commemorate the tragedy at Rana Plaza in Bangladesh. It’s a day for raising awareness of ethics in fashion and has been created to encourage us to think about where our clothing comes from. The theme’s Who Made Your Clothes? and the idea is to wear something inside out on the day to represent a positive shift in perspective within the fashion industry. Textile designer Nicola Brighton makes clutches so colourful they almost melt your eyes, in a good way. 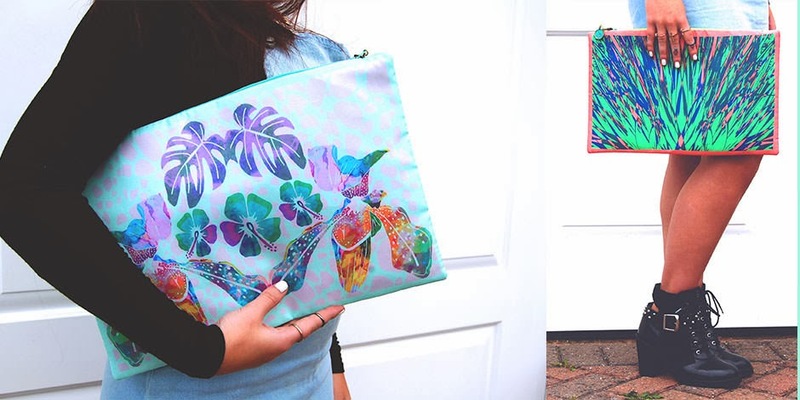 This talented new designer combines combination of photography, drawing, and traditional textile techniques to create incredible digital patterns on oversized clutches. They’re guaranteed to make you smile this winter. New York based filmmaker Zachary Heinserling won Sundance’s Directing Award for his latest film Cutie and the Boxer. The film took 5 years to film and follows 81 year old Japanese artist Ushio Shinohara and his wife Noriko as they struggle to get by in New York. It’s touching, smart and affirming. A curious little bar situated above the recently revived Crown and Shuttle on Shoreditch High Street, Nancy’s is a little gem. 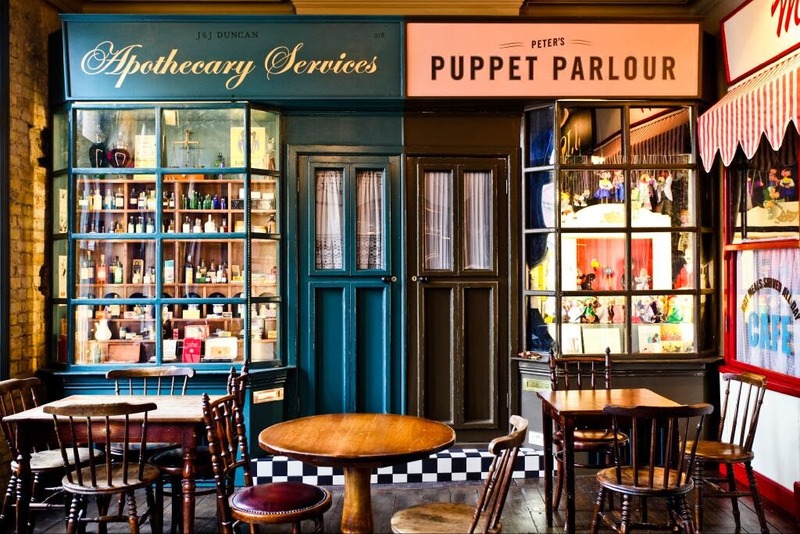 A small space decorated like a set with shop fronts adorning the walls, it has a lot of charm and serves a selection of London gins, craft beers (Partizan, Redchurch, the Kernal and Five Points) and some tempting cocktails, which includes the signature La Penca Mezcal. Worth popping by. The first ever addition of the Ja,Ja,Ja festival takes place over two days (8-9 November) this weekend at The Roadhouse, Camden. The festival brings together a host of Scandinavian talent, who have been making proper waves in the music industry of late. This includes Mew, The Raveonettes, múm, NONONO, Husky Rescue, LCMDF, Sin Fang and Postiljonen so go enjoy some Nordic sounds. New Zealander Connan Mockasin makes a kind of introverted chilled psyche that makes any dark night feel summery. His latest offering is Do I Make You Feel Shy is a dreamy track off his much anticapted latest album Charm. Yam, Yam! is part of Café Culture, a fourteen month project generously supported by the Big Lottery's Local Food Fund taking place at The Albany, an arts centre in Deptford. As part of the project Mazí Mas, they'll be will be running free workshops and a pop up South American restaurant. Do check it out for amazing food and inspiring people. So the nights are dark and the air is getting chilly, so what better excuse to eat, drink and be merry. Enjoy!